Our owner and president, Bob Stallings, understands the hard work that goes into growing, maintaining, and harvesting crops. Since the age of seven, Bob has spent time in the fields and has experienced the ups and downs of a grower’s life. Bob was raised on a family farm outside Nashville, Georgia. He worked alongside his father and uncle until the farm was sold when he was 26. 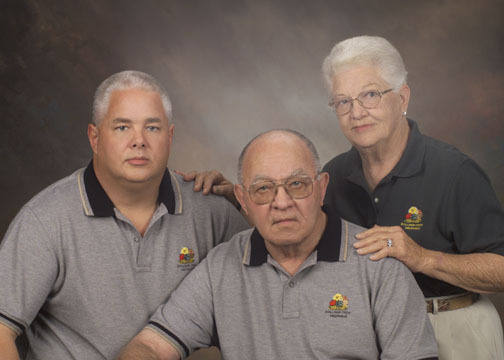 In addition to farming, his father, Ray, was the Southeastern Regional field trainer for the Federal Crop Insurance Corporation (FCIC) since 1961. The family moved to Florida in 1973 when Ray became FCIC’s director for the state of Florida. During his tenure, Ray was instrumental in the development of many of the Multi-Peril Crop Insurance policies that still exist today. Shortly after Ray retired from FCIC, he founded Stallings Crop Insurance Corporation. Bob joined his father and the family business in 1990. Bob’s parents have since passed, but he continues what his dad started by carrying on the family business while managing a 160-acre citrus grove in Alturas, Florida. Ray-Bob Groves grows Hamlin and Valencia Oranges, and Red Grapefruit. This firsthand knowledge of farming and his well-established history in the insurance industry makes him uniquely qualified to lead this agency. SCIC currently employs a group of dedicated staff members and sub-agents throughout the Southeast to provide our clients with the personalized customer service and trusted expertise they have come to rely on.